The new Easy Squeezy dips are specially made to give your bait an extra boost. The Easy Squeezy dips are available in: Raspberry & Black pepper, Coconut & Maple cream, Chocolate Vanilla Nut, Spicy Krill & Garlic and Salty Tuna. You can perfectly use the Easy Squeezy dips to soak your boilies, pop ups and wafters. 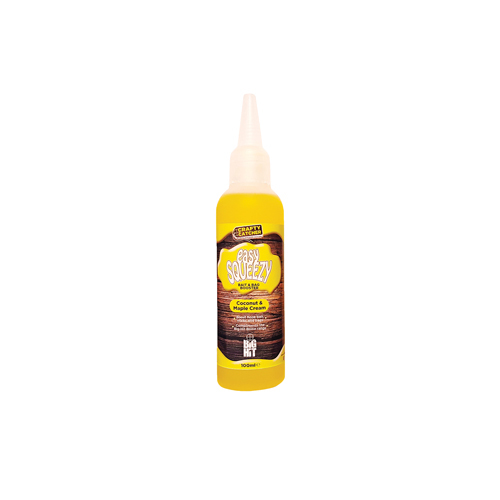 The Easy Squeezy dips are known for remaining for a long time on your bait. The dips are also well usable to give your PVA-stick or bag an extra boost. The dips increase both scent and the visual reach attractiveness of your bait. The Big Hit range is expanded with the flavors: Salty Tuna and Fresh Pineapple. A new fish- and sweet flavor, for every carp angler something! Furthermore these new boilies contain the quality that we know from the Big Hit range. 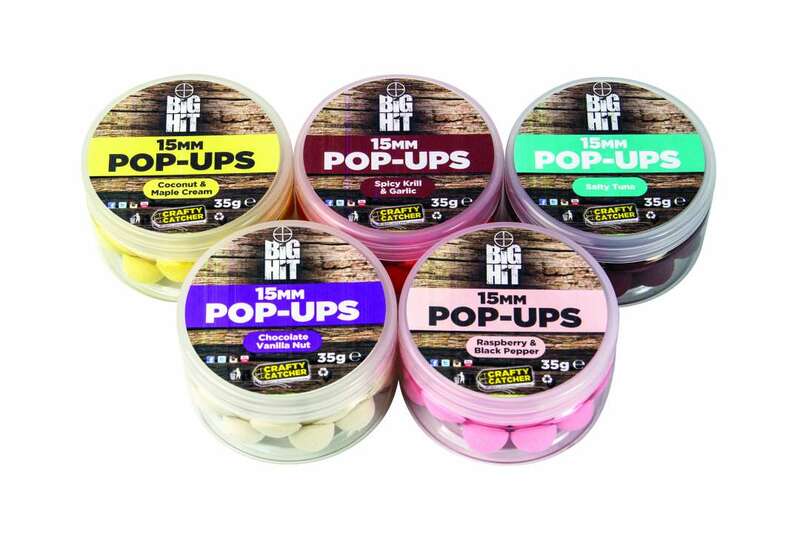 In the Big Hit range from Crafty Catcher we didn’t only add new boilies but also new pop ups. With the Big hit pop ups the following flavors are added: Raspberry & Black pepper, Coconut & Maple cream, Chocolate Vanilla Nut, Spicy Krill & Garlic and Salty Tuna. Now you can combine every flavor of the Big Hit boilies with the same flavor pop ups. For spodding the Spod Shots from Crafty Catcher are new. 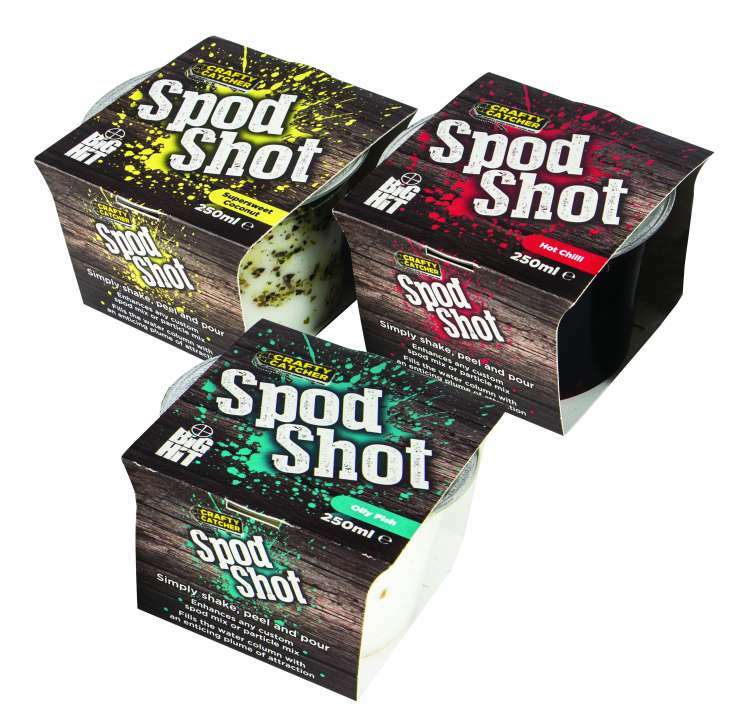 These Spods Shots are available in three flavors: Coconut, Oily Fish and Hot Chili. Crafty Catcher has chosen to release a sweet, a fish and a spicy flavor. Because of this every carp angler has the possibility to tune the perfect spodmix to the circumstances. These Spod Shots provide extra attraction underwater. The liquids will spread through the water layers so the carp is attracted more quickly. The Spods Shots are really a new product on the market and once you use the Spod Shots from Crafty Catcher you never want something different again! Crafty Catcher already had an expansive assortment of ready-made PVA-ready particle mixes and they have once again expanded this assortment. The combination of hemp and broken corn are recently added. 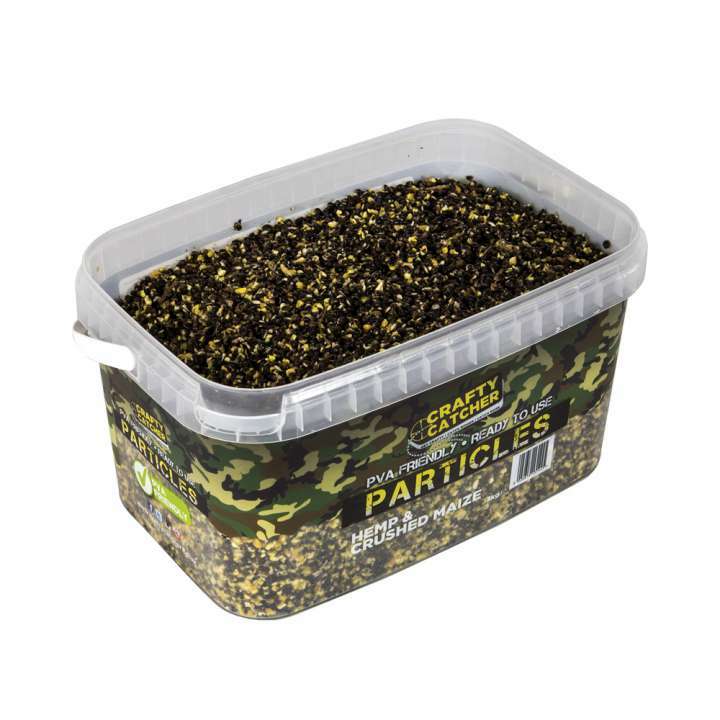 These particles are in the top 10 of bait with every carp angler so they can’t be missing. Crafty Catcher has released a smaller pot of 1.1l and a nice bucket of 3kg. These are the perfect amounts for both short and long sessions. These new products will definitely help you catch more carp! Season Kickoff: Big Hit cloudy spod mix!